Find the best fares to Osaka and Kyoto with Air New Zealand. 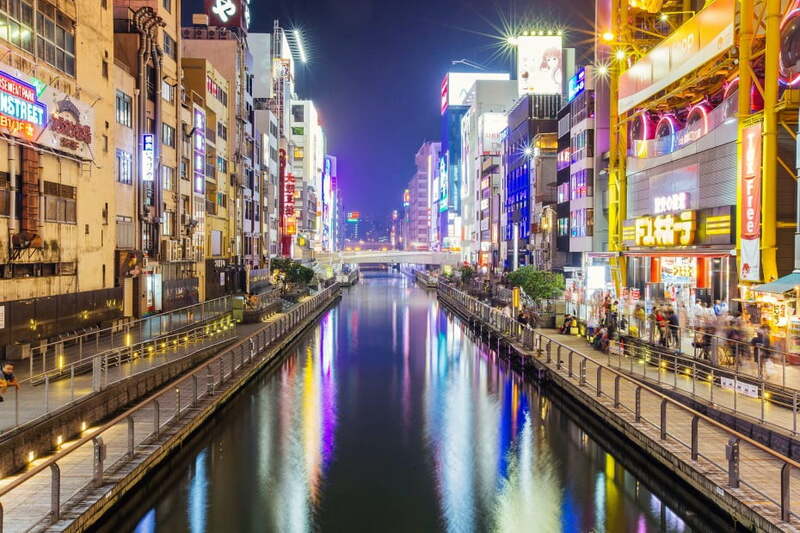 Book cheap flights to Osaka from Auckland, Wellington, Christchurch, Queenstown and more. If you're seeking entertainment for the entire family, stop in at Universal Studios Japan or the renowned Osaka Aquarium Kaiyukan. Often regarded as the best in Asia, you’ll be wowed by an exotic array of sea life such as the Oriental small-clawed otter, Japanese giant salamander, dolphins and much more. There's also a host of excellent day trip options; a visit to the eight storey Osaka castle is widely considered a ‘must do.’ There you’ll find a masterpiece of traditional Japanese architecture with a dedicated museum and spectacular views. Or for a sombre cultural experience, take the bullet train to Hiroshima and then boat to Miyajima Island to see the Peace Memorial Park and Itsukushima Shrine.